When was the last time you wrote something by hand? Between desktops, laptops, smartphones, and tablets, we rarely find the need to write something by hand nowadays. The only things I’ve personally written by hand lately are shopping lists and birthday cards, and I bet it’s a similar case for you as well. It's no longer absolutely necessary to learn how to handwrite characters in order to learn Mandarin. But if you've decided to skip learning how to write Chinese characters by hand, you might want to change your mind. 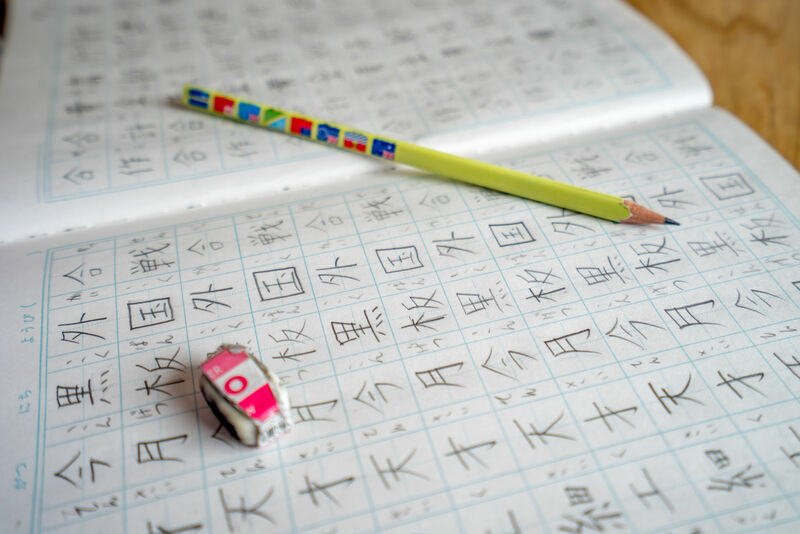 There are a host of benefits that comes with writing Chinese characters the old-fashioned way with pen and paper, and you really don’t want to miss out! This article is your complete guide to writing Chinese by hand, and reading handwritten Chinese. We're confident that if you make practicing handwriting Chinese characters a part of your daily study routine, you'll see the benefits yourself. Why should I practice handwriting Chinese characters? When you are typing in Chinese, most people use the phonetic input option. You type in the pinyin, and dozens of Chinese characters that correspond to that pinyin pop up. All you have to do is remember the general shape of the character, then choose the one that looks most similar. But as helpful as this is, it's a lot easier to spot the correct character than to remember the character off the top of your head, with no suggestions to help you! Furthermore, when you no longer have the phonetic typing tool, you might find yourself drawing a blank on how to write this character when all you know is the pinyin. When you are handwriting characters, you need active recall to bring up the character in your mind. Each time you write the character, you are putting it together stroke-by-stroke, without any help from the typing program. It’s like the difference between multiple choice questions and short answer questions. Writing by hand is like knowing the right answer for a short answer question, and if you know that, you’ll always be able to answer multiple choice questions. But if you get too accustomed to only answering multiple choice questions, short answer questions (recalling characters without pinyin input help) will become much harder for you over time. One thing you can do is choosing to use the “handwriting” input option when you are typing Chinese on your smart phones. This way, you are forcing your brain to actively recall the shape and strokes in the character, rather than passively choosing from a set of options. Writing by hand also helps you recognize the different components that make up more complex characters, and allows you to tie meanings into the character’s structure. These components are often themselves "root characters", which are the key to unlocking written Mandarin. Since many Chinese compound characters take some part of their meaning from its components, writing by hand is a great way to review what you’ve learned, and create a deeper understanding of the relationship between character’s structure and its meaning. Being able to write Chinese by hand will improve your confidence in your own Chinese abilities and give you another layer of connection to Chinese culture. Whether it’s helping your friends create and write their names in Chinese, or simply passing a note to a Chinese person, you will begin to feel that Chinese is a more integrated part of your life, rather than just a hobby in its own bubble. 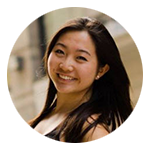 Going out and having real world experiences using your Chinese is one of our key tips for successful Mandarin self-study. Believe it or not, writing Chinese character by hand can be a relaxing and fulfilling activity! It such an amazing feeling when you are able to find the time to sit down, open up a fresh sheet in your practice book, grab a pen, and focus solely on improve your handwritten characters stroke by stroke. The writing almost feels like a meditative experience in that it clears your head and takes you away from the stresses of daily life. I would compare handwriting practice to the stress-relieving adult coloring books that are so popular nowadays. You can see the similarities, right? Lastly, being able to write Chinese by hand will give you a new appreciation of the traditional art of Chinese calligraphy. You probably know the calligraphy is one of the most revered traditional Chinese art forms, but if you've never handwritten Chinese characters it's hard to appreciate its beauty. As you get better at writing, you’ll see first hand the work it takes to turn writing into expressions of art. Some calligraphers are known for their wild and brash styles, and some are known for being graceful and understated. You may even connect with a certain calligrapher’s work, and begin to incorporate that into your own personal style! So, now that you know the importance of handwriting Chinese, how do you do it? How do I handwrite Chinese characters? The proper stroke order of writing Chinese characters has been honed over thousands of years to create characters that are balanced and harmonious. When characters are written in an incorrect order, it disrupts the “flow” of the character, and the resulting hand writing usually looks “off.” In fact, if a Chinese teacher catches you writing in the wrong stroke order, he/she will usually tell you that you wrote the character wrong, and tell you to start from scratch. There are some general rules when it comes to stroke order, such as writing “from top to bottom” and “left to right.” However, the exact stroke order of each character needs to be learned and memorized individually. In our Yoyo Chinese character courses, you’ll get a stroke-by-stroke demonstration of each new character you learn, making it super simple for you to visualize the “flow” and remember the correct stroke order. If you're taking the Yoyo Chinese Character Course, Yangyang shows you the correct stroke order for each character in the video lesson, but you can also download the Lecture Notes and check out the Handwriting Practice section for a detailed breakdown. You can download the Lecture Notes from the free lessons at the beginning of the Chinese Character Course, and try it yourself! There really is no shortcut to having good handwriting. In China, many students take calligraphy lessons from a young age to improve their handwriting. To start, you would buy a calligraphy practice book, which usually consists of pages divided into squares for you to repeat the given examples over and over again. The basics of good handwriting are simple: the characters should be neat, cohesive, and proportional, with no part of the character dominating the others. When you first start practicing your handwriting, your character will be a bit “boxy” looking, a result of the square calligraphy boxes. Make sure to follow the right stroke order as you practice your handwriting! The important thing here is that you don't need to become a master calligrapher to get all the benefits of practicing handwritten Chinese. Anyone scratching out characters on a piece of paper will get the boost to your Mandarin and character recognition, the improved focus and concentration, and the stress relief and relaxation. Once you have a good basic handwriting, you can begin to experiment with different styles. Just like in English, when people choose to write in “bubble letters” or small caps, you can choose to find your own style in Chinese as well. Most people of an older generation will write in 草体字 (cǎo tǐ zì) , which is the Chinese version of cursive handwriting. Here, the characters will lose their “boxy” shape, and it will be harder for the untrained eye to read. This is quite advanced but also extremely interesting, since people’s styles will really show in their cursive handwriting. You can see below for different calligrapher’s unique takes on the character 心 (xīn) . One interesting thing to note: the 心 (xīn) in the top left corner is actually the calligraphy of 毛泽东 (máo zé dōng) - Chairman Mao Zedong! How do I read handwritten Chinese? Reading handwriting is difficult even for people who grew up reading and writing Chinese, especially if the handwriting is messy! You can practice by reading things that are typed in a cursive font to get an initial hang of it, but remember, everyone’s handwriting is unique, and you shouldn’t feel discouraged if you can’t easily read everything. One tip I have is to fully utilize context clues. Start by drawing the general shape of what the character looks like by using the handwriting input on your smartphone and tablet. Once you have some options in front of you, you can make educated guesses at what a certain character may be, then plug in the different options into the context of the sentence to see what fits best. Look at the left and right side of the character to try and identify radicals or character components. You might not be able to see the character clearly, but still pick out the "grass" radical 艹 (called "cǎo zì tóu ) or the "three drops of water" radical 氵(called "sān diǎn shuǐ ), it will give you a starting point for guessing the character. Do you practice handwriting Chinese characters? Share your story and ask us questions about handwritten Mandarin in the comments below!